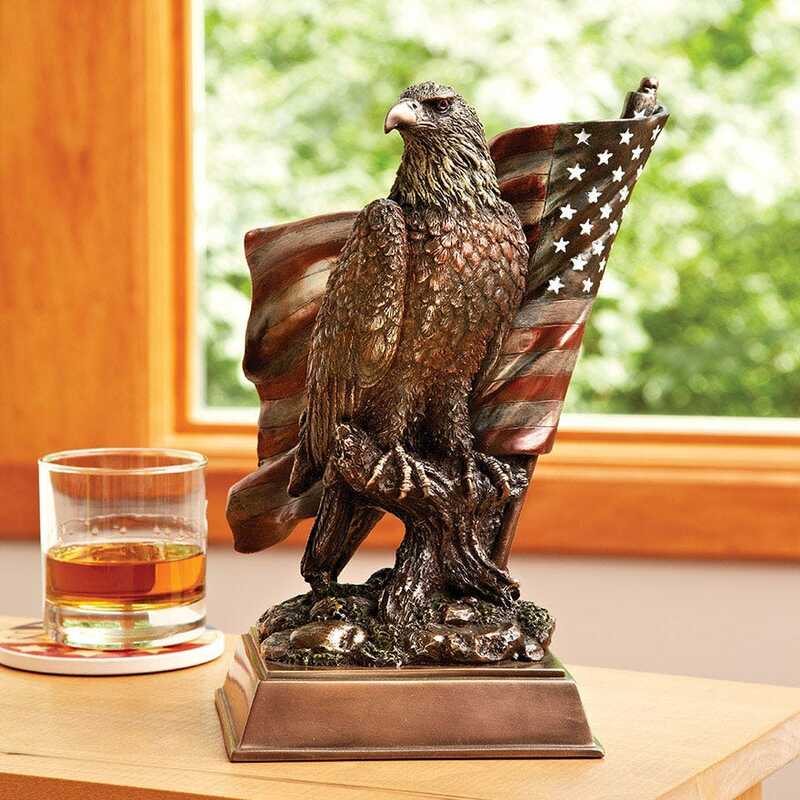 American icons lend stature to your desk, den or man cave. There are a few past traditions finding their way back, and this one we like. It was once standard practice to have a tabletop sculpture on a desk or shelf to inspire the person sitting in the chair. Then along came the minimal look, and those icons were stored in a drawer. Well, now they are finding new space among the computers and wires of modern work tops, and it's about time. Handcrafted of cold cast bronze in fine artistic detail, these American icon sculptures are sure to cause thoughtful pauses in the workday. Measures approximately 8 inches by 6 inches—10 inches tall.